"The house whirled around two or three times and rose slowly through the air. Dorothy felt as if she were going up in a balloon. 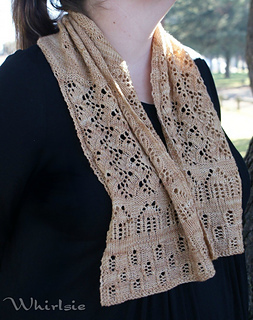 This scarf pattern uses various stitches to depict the story of Leaving Kansas. In the centre is a sunflower motif, the state flower of Kansas. 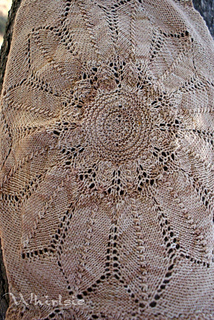 This motif is initially knit in the round, then short rows are used to turn the centre panel into a square. Two of the sides are cast off and the remaining sides are worked parallel to each other. 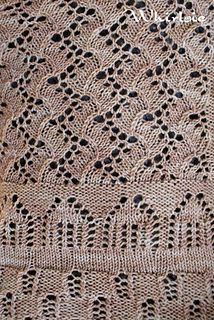 Each side of the motif contains lace patterns to work tornadoes, houses and wheat patterns. 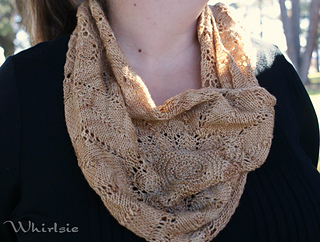 Edged in a moss stitch, this scarf is a complete story! The Wonderful Wizard of Oz is a much loved story of my childhood and I loved the idea of a knitted collection. 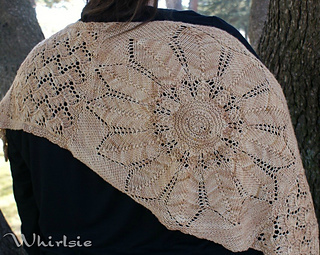 Australia is also known as Oz, and being an Aussie myself I love the idea of collaborating with Aussie indie dyers.